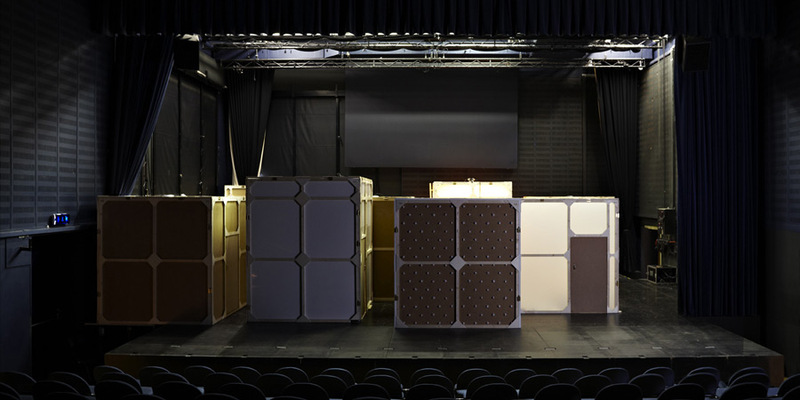 Last year I was approached by the Swiss company Trickster-p, and asked to design a proposal for the second work within their ongoing trilogy of theatre installation pieces, structured as audio led journeys through theatrical environments – not a form that I have an affinity for, as they well knew – but that in itself made the conversation interesting. My own intentions – coming very much from a desire to help enable the company’s poetic, while also looking for a literal physical intervention for the project – inevitably echoed those that endlessly circle my attempts to locate my own work, regardless of its form or context. I have always found it helpful to approach theatrical space as simply another location. Especially when being asked to build within someone else’s. However immersive a journey through the interior of the work was hoped to be, it seemed very clear to me that a credible interior has to be contained – by both an architecture and an exterior. To say that only an actual container can really have an inside, is clearly as much a truism as a conceptual position – but in my experience, the task usually comes down to the act of choosing and reasserting something self-evident. 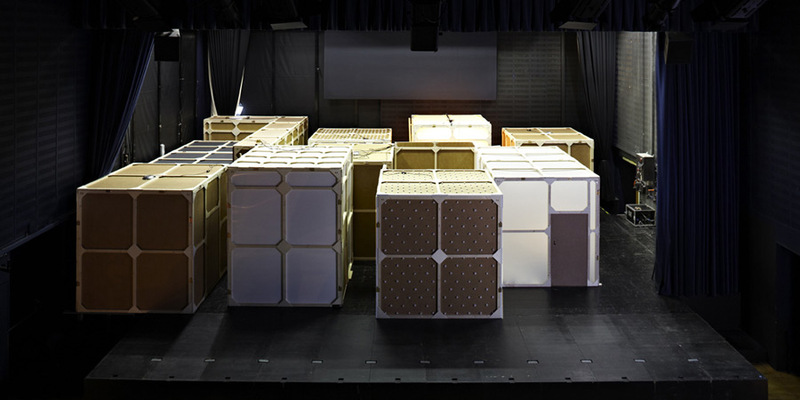 The resulting work – called b – opened in Bellinzona, Switzerland, last month. Stills from a selection of the interiors can be found in the archive [ here ].